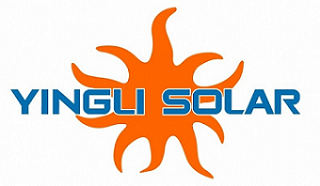 Yingli Solar is a Chinese manufacturer of solar panels with an Australian office in Sydney. They produce panels with a 10 year product warranty and a 25 year performance warranty. Yingli Solar used to be the world’s largest producer of solar panels, but it has suffered serious financial difficulties since 2013 and so its long term existence is in doubt. As is its short term existance. I don't want to sound too down on their prospects, but if I was working for Yingli I'd want to be paid weekly, not monthly. Yingli Solar is a major producer of solar panels. While it was the largest manufacturer in 2012 and 2013 the company ran into financial trouble and by the end of 2016 was proably the 8th largest producer in the world. Yingli states on their website they have"almost 10% global market share" and gives a figures of 2.45 gigawatts of panels production capacity in 2012 without saying what has happened in the years since then. 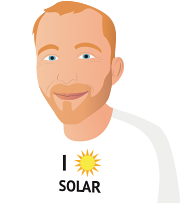 Their 2016 financial report says they shipped 2.297 gigawatts of solar panels in 2012. They did manage to expand production after that, but by 2016 it had fallen to 2.17 gigawatts. This means they produced around 3% of the world's solar panels in that year. Yingli used to have 19,000 employees who worked in both solar panel manufacture and silicon production. This was a huge number of people, but way back then in 2012 solar panel production was still labour intensive. At the end of 2016 their number of employees was down to 10,625. Hopfully these reductions were due to parts of the company, such as silicon production, being sold off rather than people losing their jobs. Yingli’s full name is Yingli Green Energy Holding Company Limited. Usually it just gets called Yingli Solar. It was founded in 1998 and commenced production of solar panels in 2003. It rapidly expanded and become the world’s largest manufacturer in 2012 and 2013. Unfortunately, that didn’t turn out too well for them, as they expanded too fast and took on too much debt in the face of falling panel prices. They have been in major financial trouble since 2013 and haven’t turned an annual profit since the first half of 2011. Often companies don’t produce a profit for very good reasons, but Yingli’s reasons are all bad. As a result of their financial difficulties, Yingli no longer produces all its own silicon and its production lines are outdated by today's standards. Yingli’s headquarters are in Baoding, which is China’s 7th largest city and 150km south-west of Beijing. As it is near Beijing, the area is very dry with even less rainfall than Adelaide. Its location is unusual, as most solar panel manufacture occurs around Shanghai rather than Beijing. I thought Yingli also had a presence in Thailand, but it instead turned out to be Thai pop sensation Yinglee. Yingli was a vertically integrated company, producing its own silicon ingots and wafers. But in order to stay afloat they have sold off more than half of that production capacity and now buy most of their silicon wafers from suppliers that used to be part of their company. "There is substantial doubt as to our ability to continue as a going concern." In 2014, 2015, and 2016 their net losses were approximately $240 million, $1.2 billion, and $420 million. At the end of 2016 their total debt was around $3 billion. In order to stay afloat they have used tricks such as selling the equipment they use to make solar panels and then leasing it back from its new owners. Sometimes these kinds of tricks give a company space to turn things around, but often the turn around turns into a downward spiral. In addition, Yingli has fallen behind on payments to employee funds. This can result in massive fines, but since this would finish off the company they may not be hit with them. Their continued existence rests upon the Chinese government’s reluctance to add to unemployment. Unlike some companies, Yingli Solar’s production lines still have people and not mostly robots. One analysis gives their financial position as the worst of all the major manufacturers. Standard sized panels with 60 solar cells are the ones most likely to end up on Australian roofs and Yingli Solar produces 3 different types. The datasheets for all three perform the dirty trick of giving their cell efficiency in large type on the front page instead of the lower and much more relevant panel efficiency. After all, no one ever buys a functioning solar panel and then pries cells off it for individual use. All the datasheets state the panels are, "...independently tested for harsh environmental conditions such as exposure to salt mist, ammonia and known PID risk factors." The YGE panels can be up to 16.9% efficient. Yingli’s YLM panels can be up to 17.9% efficient. Apart from the higher efficiency they are very similar to the YGE panels. While they look the same as any other solar panel, having the name Panda may make them the cutest solar panels in existence. They can be up to 18.5% efficient. As far as their panels are concerned, I am satisfied they are of good quality and would be fine with installing them on my roof. However, Yingli’s financial situation is not good, which means they may not be around in the future to honour their warranty commitments. While the chance of needing them to be around to back up their warranty should only be small, it is still something you may want to take into account. They seem to be working fine. Very pleased that they have a good output even when it is overcast. They haven't produced the amount of energy specified on the quote, ever.